Whether an organization has two locations or 2,000, reliable and cost-effective WAN connectivity is a necessity. But, MPLS contracts become even more costly as more bandwidth is needed to support cloud-based apps and high data volumes. 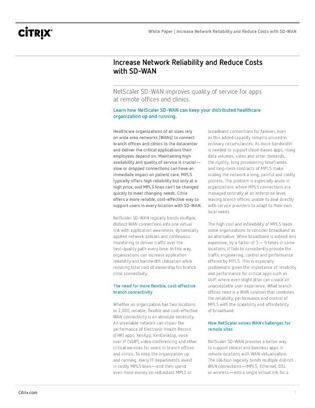 Find out how SD-WAN can help your distributed enterprise stay up and running while reducing costs and network complexity.